As someone who reads, relies on, and writes for scholarly publications – YOU have the power to change the way research is exchanged. One of the most significant initiatives aimed at addressing the crisis in scholarly communication is the open access movement. If an article is “Open Access” it means that it can be freely accessed through the Internet. The potential readership of open access articles is far greater than that of articles published in subscription-based journals. Open access does not affect peer-review; articles are peer-reviewed and published in journals in the normal way. Scholars around the world have started open access publishing initiatives that provide free access to their content. Browse the The Directory of Open Access Journals, a service that indexes high quality, peer reviewed Open Access research journals to find journals in your field, or use the Field Guide to Predatory Publishers to help assess if an open access journal is a good place to publish your work. Take advantage of article processing charge (APC) discounts from Tufts Open Access Journal Memberships, or OA funds at some Tufts schools. Discipline-specific repositories: Many disciplines now have repositories in which scholars can deposit their materials, including preprints, datasets, and previously published journal articles. OpenDOAR is a directory of repositories around the world. NIH-funded research: If your research is funded by NIH, you are required to deposit your publications in PubMed Central. Institutional repositories: create open access to your work and deposit your research in the Tufts Digital Library, so that it can be openly accessed. Authors own the copyright to their works until they sign copyright over to a publisher. This is why authors may archive their preprints, but often must ask permission for the deposit of published articles in a repository. In order to avoid this scenario, Tufts University strongly recommends that authors retain copyright rights as part of their publication agreement. Without such rights, authors may not be able to distribute copies of their own papers in their classes, post their own papers to a course site, or deposit them in a repository. 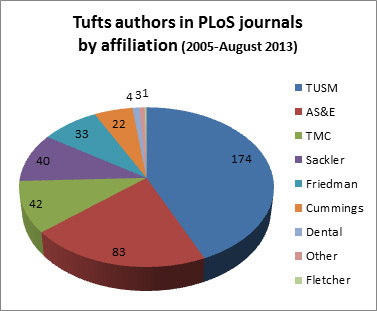 We suggest that authors use the Tufts-approved Amendment to Publication Agreement. Want to learn more about OA’s impact on scholarly communications? 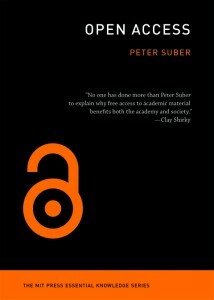 Check out chapter 2 of Open Access, where Peter Suber outlines the 15 problems he sees with the current system of scholarly communication, and how OA has the potential to solve them. @michikokakutani It Can't Happen Here is public domain, and there are multiple formats for download at Project Gutenberg. Er, last time I checked. #OpenAccess.